Experience a New Standard in Wireless Headphones. JBL EVEREST™ ELITE 700 offers the most advanced and inclusive feature package in wireless headphones. Bluetooth 4.0 enables wireless connectivity while new NXTGen Active Noise Cancelling Technology combines the immersive experience of noisecancelling with the ability to control the amount of outside noise to let in, giving you the power to balance awareness of your surroundings with your listening experience. With legendary JBL Pro Audio sound delivering a dynamic acoustic experience, sculpted ear cushions providing unprecedented fit around your ears, a 15-hour rechargeable battery, and TruNote™ Auto Sound Calibration, now you can enjoy ultimate comfort, freedom and personalization. A built-in microphone allows for easy call access. onnect to any Bluetooth-enabled device for amazing sound quality without the hassle of wires. 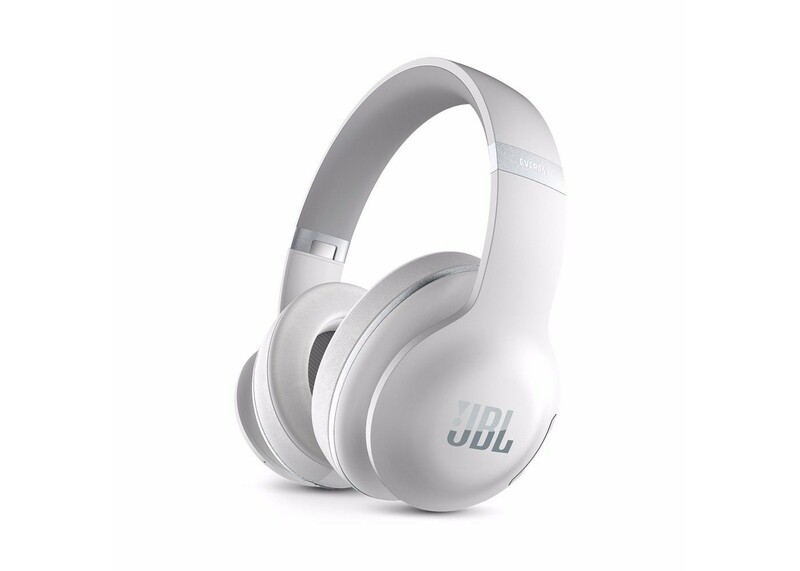 For the first time, JBL combines the immersive experience of active noise-cancelling technology and lets you control the amount of outside noise to let in. So you have the power to balance awareness of your surroundings with your listening experience with the simple press of a button. Be blown away by the cleanest, most authentic version of your music that you’ve ever heard. With the press of a button, TruNote Technology automatically calibrates the sound of the headphones uniquely for you. Experience greater simplicity and a longer battery life with the auto off feature which powers the headphones off automatically when not in use. Get even more control and personalization of your listening experience with this free App. Through your mobile device, you can create custom EQ settings and access all other headphone settings and features.